Robyn Kass, the Casting Director for Big Brother 11, has confirmed that she is “gearing up” to begin casting for CBS’s eleventh season of the show. On her MySpace blog, Kass encourages people who are interested in being on the show to apply for Big Brother 11 by sending in a video tape. She acknowledges that information on open casting calls will be available soon. Hi BB fans! Well, the time has come once again…. BB11! Casting is gearing up. 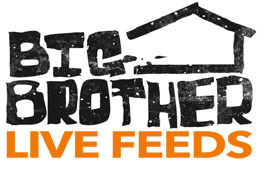 Please visit http://www.cbs.com/primetime/big_brother/ and scroll down to download application and eligibility rules. Now is the time to send tapes in! Open casting call info— soon to follow! Good luck….. I look forward to meeting you guys in person! As soon as information on open casting calls becomes available, we will be sure to bring it to you. Be sure to subscribe to WLBB and receive the most up-to-date Big Brother 11 information! In the meantime, check out WeLoveBigBrother.com’s exclusive interview with Robyn Kass after the Big Brother 9 finale in 2008 and our phone interview with her in 2007. A user at RealityBBQ has once again made an appearance to shed light on this season’s twist. If you don’t want to know the details, stop reading now!